Adopt a Greyhound. Greyhound adoption. Dog of the Month. Each month we will feature one of our dogs as the dog of the month. Toby is our April dog. Toby, born 2/1/15. 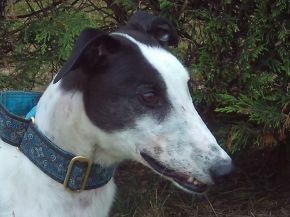 A very friendly lad but does need some socialising with other breeds.